Oklahoma sophomore, Haley Scaman (L), co-national champions Oklahoma and Florida, Florida senior Mackenzie Caquatto embraces Alaina Johnson (R). The Ljubljana World Cup – the return of Ana Pavlova with a win on bars, Danny Pinheiro-Rodrigues with his light as a feather-stiff as a board inspired, super-human skill on rings and Mr. Oleg Verniaiev winning two events. The Korea Meet – Louis Smith beat Krisztian Berki (woah! ), Brandon Wynn gold, Yang “The God of Vault” Hak Seon debuted a new vault and why Olivia Vivian and John Orozco should be on Dancing With The Stars. Komova’s latest injury and Ferlitto is forced to pull out of Euros. Romania vs. Belgium vs. France – Iordache won everything, Diana Bulimar impresses in her comeback and we fall in love with a buttery french chocolate- eclair of a routine from France’s Loan His. Jessica gives us a behind the scenes and hotel bar report from NCAA Championships! Home Court Advantage: Is it really possible to have a “neutral site” host the meet? Scoring: The results of Spencer’s analysis from NCAA’s compared to the regular season and previous seasons. Was it higher or lower than regular season on each event? You’ll find out why Jessica had to scream until she lost her voice. The most ROBBED gymnasts of the meet: Lindsey Cheek! Our favorite individuals and event specialists: Kalliah McCartney, Marie Case, Alexis Gunzelman, Lindsay “Precision” Mabel, Hanna Nordquist, Chayse Capps, and gymternet heartthrob Katherine Grable. The painfully long wait Oklahoma had to endure before finding out they had won the first ever NCAA Championship. Brandi Jay’s accidental double twisting yurchenko. The Senior Curse: how the NCAA time-line effects performance. Is the Age of Dynasties over as the age of Ninja Level 10’s begins? The Balance Bean Situation – the best NCAA analysis. Tons of videos from the floor at NCAA Championships on our Instagram. Rewriting Russian Gymnastics on Komova’s injury. University of Oklahoma Women’s Gymnastics site. University of Florida Women’s Gymnastics site. Carlotta Ferlito on the illness taking her out of Euros. University of Oklahoma had a painfully long wait while everyone scrambled to find out if there was a tie-breaker. The GymCastic Podcast by gymcastic.com is licensed under a Creative Commons Attribution-NonCommercial-NoDerivs 3.0 Unported License. Based on a work at gymcastic.com. Omg Jess your analysis of the French coach made me tear up so much. That coach is amazing and I hope he gets more recognition! Loved Jess’s experience of Oklahoma winning omfg. And lol at the podcast totally skipping and flipping out when Jess is screaming haha. It might be just my stream but it’s great haha. Thank you! It looks like the video may be behind a pay wall now at Gymnastike but try the Georgia Gymnastics website. Their media team does great work on recap videos. It wasn’t your feed. I broke the audio because I yelled too loud. Oops. Hi Gymcastic: The “switch half straddle full” is her very own move. In the code it’s described as a Johnson + one full turn, and she had it named for her in 2011 Worlds. It’s a great leap, worth the same as a double tuck. Thanks for sharing the video of the french coach – I’m so thankful for coaches like that. Thank you for the correction. We will mention that! Hi Gymcastic: Thanks for sharing the video of the French coach. The leap Jess loves by Bulimar is actually named after her, since 2011 worlds. It has the highest difficulty rating on floor for a leap, along with the gogean, switch leap 1/1, ferrari and switch leap 1/2 turn to ring. It’s too funny that you said that you confuse Kim Jacob and Sarah Demeo. I say that every time I see them perform. I’m glad to hear that there is someone out there that was as angry as I am about Lindsey being robbed!!!!! I think we are probably taking it harder than she would be. 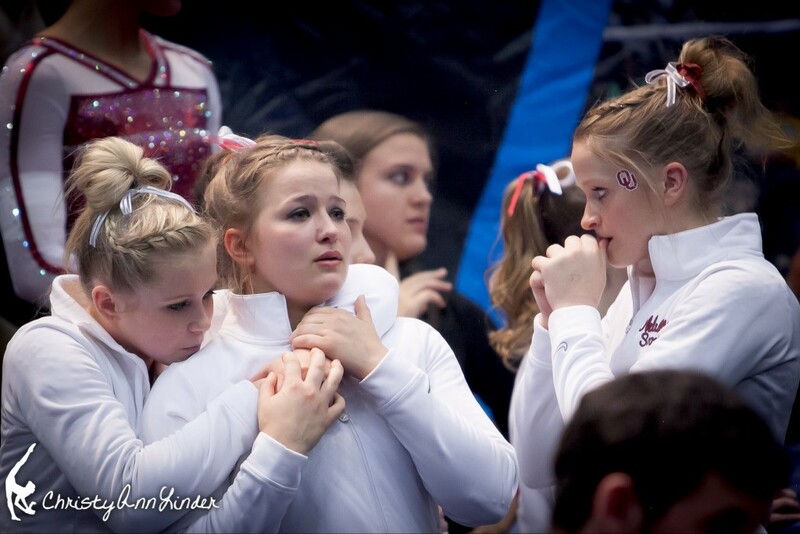 I have seen her do perfect vaults, bar routines, and beam routines all year and she never got the 10 she deserved. In my mind she is the 2014 NCAA Beam Champ! Could use guys explain Katherine “The Great” Grable’s opening pass on FX? It’s often described as a half-in/half-out and it’s not exactly that. 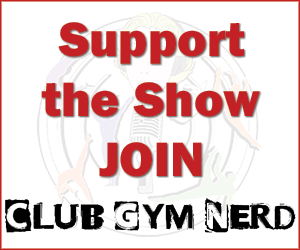 Help the gymternet better appreciate her!!! How this differs from the FIG World Challenge Cups: There are no qualifications just finals. The FIG World Challenge Cups are open to all elite gymnasts while the Korea Cup is based on top 3 gymnasts on an apparatus from Worlds, Olympics, World Cup competitions. The winners receive higher amounts of prize money than the FIG Challenge Cups which they should because it’s a competition between the top 9 gymnasts in the world on each apparatus. The Korea Cup is more of a counterpart to the FIG World Cups than the FIG Challenge Cups because the FIG World Cups are also invitation only based on (first gymnast and then team) performance at the previous Worlds or Olympics. The Korea Cup may be the only competition of its kind. Ah ha! Thank you for the detailed clarification. As we’ve come to expect from you!